The upcoming IMO 2020 global sulfur cap on marine fuel will require ship owners / operators to shift their thinking on how they buy bunkers, says Luca Volta, ExxonMobil's Marine Fuels Venture Manager. "Right now, the industry does fuel procurement. In 2020 the industry will need to do fuel management, and the two are very different," Volta told Ship & Bunker. 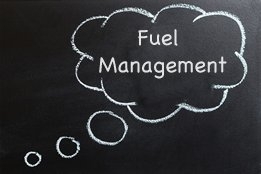 "Fuel management is understanding the property of the fuel, understanding your supplier and what is behind them. And this needs to be done almost on a vessel by vessel basis as they're not all the same. Tanker segregation and line segregation, for example, might be very different. So a lot of conversations we have had with our customers goes down to the nitty gritty on a per vessel basis." Morten Eggert Troen, CEO at brokerage LQM, is one of several industry voices who has recently said the business of selling bunkers is becoming a much more technical exercise, particularly due to the requirements of the new global sulfur cap. Many new fuels are expected to come onto the market to meet the maximum 0.50% sulfur content requirement, but they are also likely to have compatibility problems, particularly between regions. ExxonMobil last week said its various IMO 2020 fuel offerings will be compatible with each other no matter where in the world they are lifted.